Saleh "Gadi" Johar June 17, 2013-If you notice, most fires of war are fueled by those who would not be burned by it. To them, it is just like a movie, you cheer one side against the other and no matter who wins, you forget about it the moment you see another movie. The violence in movies is make believe, the people who die actually never do, therefore, producers include gruesome violence to satisfy the viewers. However, in actual wars people die, properties are destroyed and families fall apart. 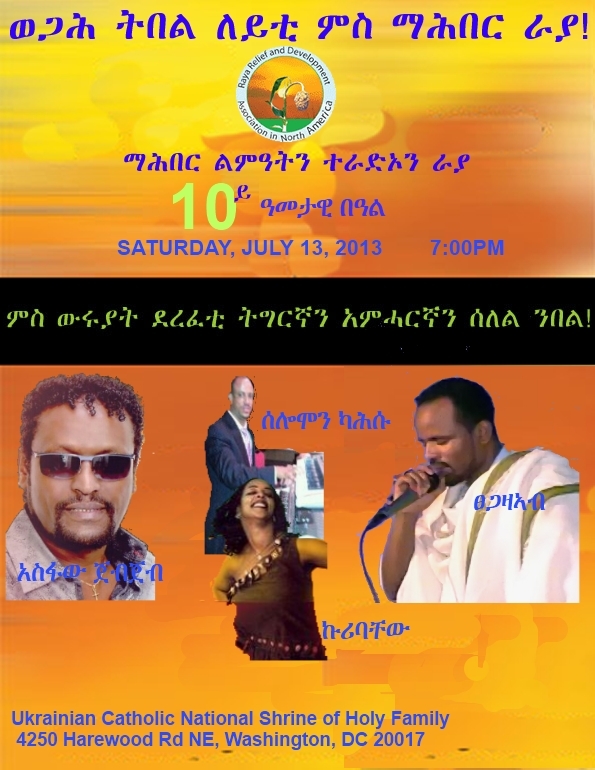 Reportage on the recently held meeting with Diaspora Ethiopians. The foreign ministry held the meeting with Diaspora Ethiopians from all over the world to discuss on new policy on Diaspora and on ways to engage the large Diaspora population on development. (...be counted as one among millions in this historic time! This generation must do all in its power to leave behind a beautiful rich and hopeful country to the next generation. What is left is really an easy task, the hard part was done for us by those who are not with us any more! Eternal Glory to all martyrs! Ethiopia and Egypt have agreed to hold further talks to quell tensions over the building of a new dam on the Blue Nile, their foreign ministers say. 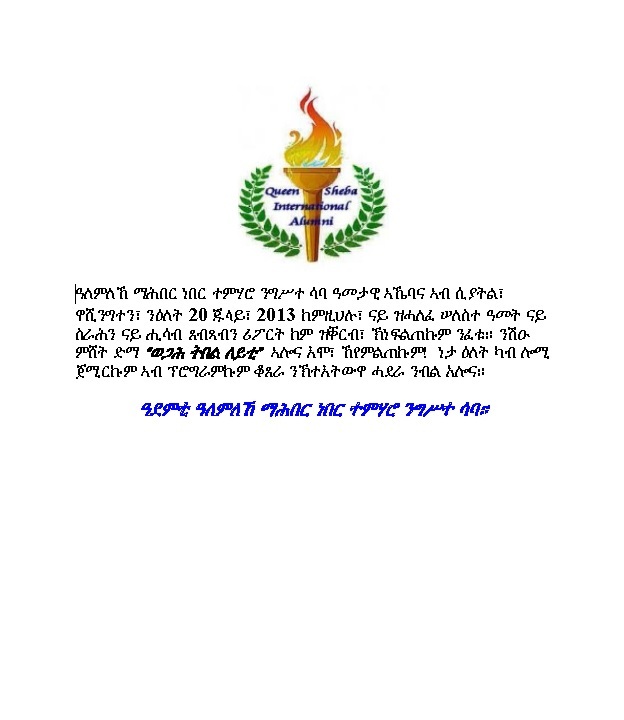 Ethiopia's Tedros Adhanom said the two nations have chosen to swim rather than sink together, AFP news agency reports. He met his Egyptian counterpart Kamel Amr after Egypt opposed Ethiopia's plans for a hydroelectric dam. 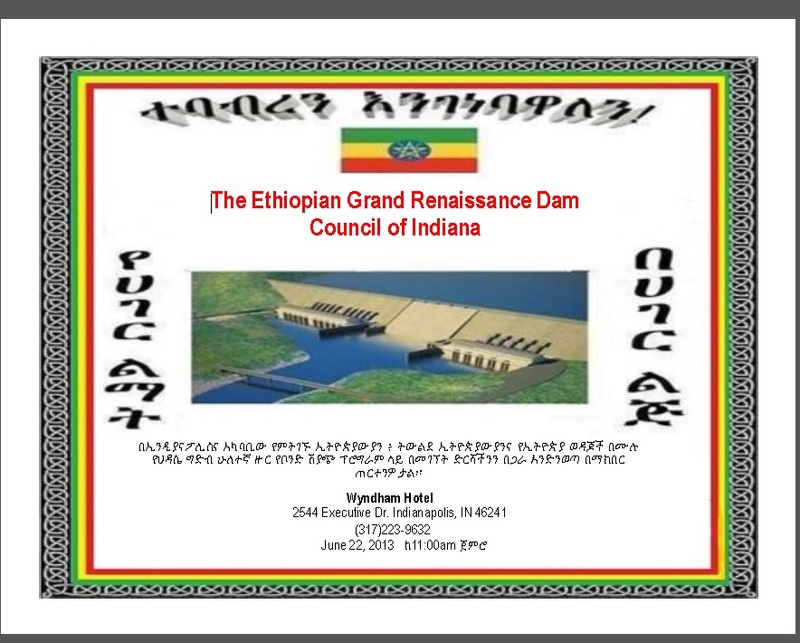 Previous statements about the dam had been made "in the heat of the moment", Mr Amr said, at a joint press conference with Mr Tedros in the Ethiopian capital, Addis Ababa, AFP reports. The International obligation of Nation States over shared watercourses. Is Egypt's Stance on the Blue Nile Dam Legally Justified? 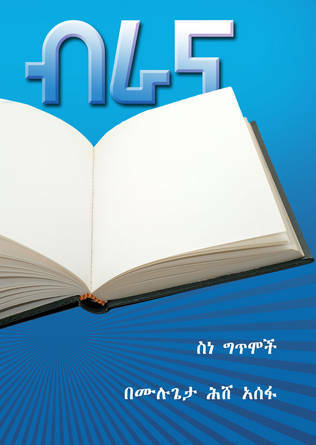 Why Ethiopia Rejected the validity 1929 and 1959 Agreements? There, in the Ethiopian highlands, one of the world�s largest dams is taking shape. For Ethiopia, the dam promises abundant energy and an escape from a seemingly permanent spot in the lowest rungs of the world�s human development index. But for Egypt, the consequences could be dire:... No it will not! The dam can and will be build with a win-win approach if Egypt moves away and grows out of its colonial mind set! What will be dire however, is, if Egypt chooses war over diplomacy! Egyptians should think hard if they want to live with an angry and hostile African nations to their south or not! Ethiopian Foreign Ministry Officials discussion with Diaspora Ethiopians-in picture! Nile, Egypt and Ethiopia: what the bad boys of Egypt will do next? 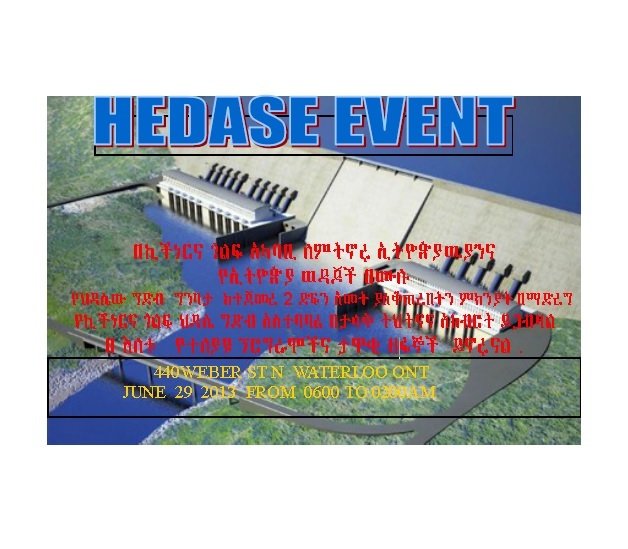 Portland Hedase Committee raised 60 thousand dollars for Renaissance Dam! 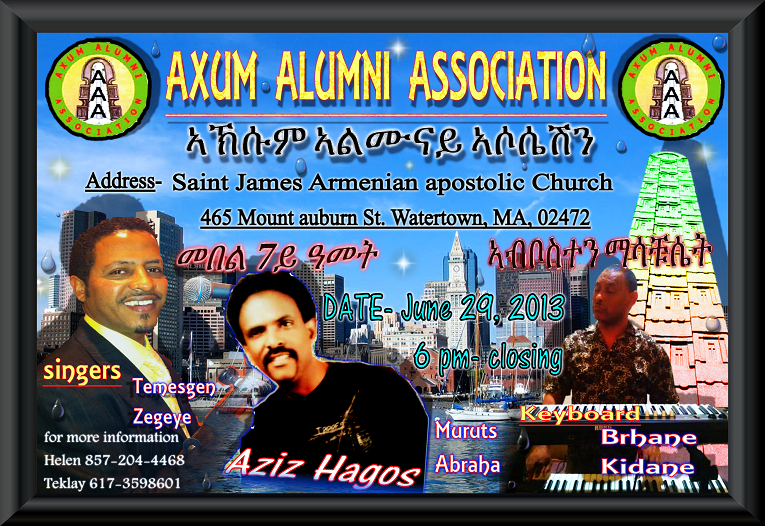 ግብፅ በኢትዮጵያ ላይ የሰነዘረችው ሃላፊነት የጎደለው የሃሰት ማስፈራሪያ በኣስቸኳይ ይቅርታ ትጠይቅ!! 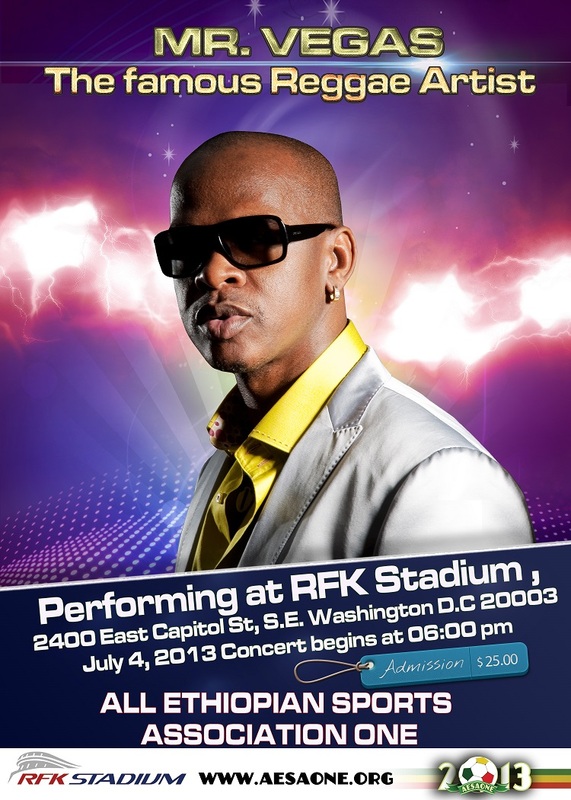 July 4th AESAONE celebration in Washington DC! !